During the Great War several refugees from Belgium found sanctuary in the Crich area. Two of the men who lived in Crich for a time are recorded on the Rolls of Honour as "Belgian Agents". They were Frank Maes and J de Ridder. Jules Charles de Ridder, Belgian Agent was awarded the British War Medal. Also in the Medal Roll Index there is Rev. Francois E Maes, Belgian Agent, who was also awarded the British War Medal – were these "our" Frank Maes and J de Ridder? 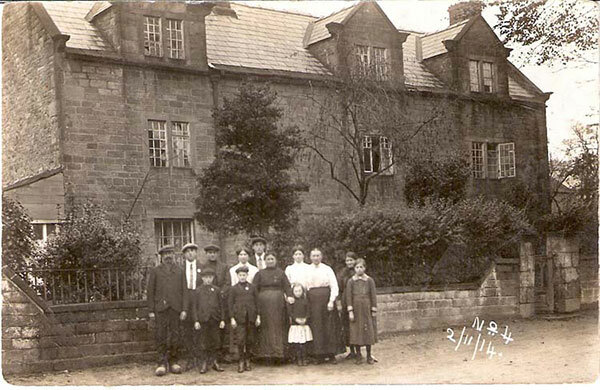 The Maes family arrived in Crich 02/11/1914 as Belgian refugees. Two of the children Madeleine and Jules/Saul were enrolled at Crich School 16/11/14. Madeleine returned to Belgium in 1919. Jules (also known as Saul) left school to work in 1916. The family were Roman Catholics. It is likely that Frank Maes was part of this family. He has no rank listed on the Roll of Honour, so it is unknown as to what role he played in the war. In April 1915 the High Peak News reported that two Belgian refugees from Crich, Mlle Anna De Ridder and M. Joseph Maes, were married by Father Le Roy at St Joseph’s Catholic Church in Matlock. Most of the twenty-minute ceremony was in Flemish, but the bride and bridegroom had learned sufficient English to be able to respond to the wedding questions in that language. An interesting event unique in the history of Crich which took place on Saturday, when the wedding of two members of Belgian refugee families living in Crich was celebrated. The bridegroom was M. Joseph Maes who the outbreak of war lived at Melsele, Antwerp, on the bride was Anna D Ridder who was a resident of Beven Waas, Antwerp. When the Belgian refugee families were provided with hospitality in the England villages both bride and bridegroom, along with their relations came to live at the Mansion House, Crich. Prior to the war, however they were engaged to be married. The party, which included in addition to 8 members of the respective families, Mlse Baert, a Belgian refugee living at Crich Carr, Dr Macdonald, and Mr H Dyson, president and secretary respectively of the local relief fund, were conveyed in Dr Macdonald’s motors to the Roman Catholic Church, Matlock, where the service was held. The ceremony was conducted mainly in Flemish by the priest the Rev G le Roy. The bride was attired in a dark hello costume, and wore a lime coloured straw hat, trimmed with silk of similar shade. The bridesmaids in attendance was Maria Sidonia de Ridder (sister of bride). She wore a grey costume, with hat to match. M. Francisus Maes, the bridegroom’s brother acted as best man. After the service reception was held at the Mansion House, Crich, this being generously provided by Mrs Deacon, of Chase Cliffe, who also lent for decorative purposes, while over the entrance arch and the doorway gaily floated the flags of the Allies and flags and ribbons of the Belgian colours lent picturesqueness to the room where the reception was held. Amongst the large number of guests present were Mrs Deacon, Mrs Oliphant, Mrs Macdonald, Mrs Griffith, Mrs Dyson, Mrs Mercer, Mrs Burt, Miss Burt, Messrs H Dyson, A Mercer, E Hartle, C Harrison, E Ashman, W Peacock, also Madame Baert and Madame Vlacuminck. Mr H Dyson on behalf of the committee wished the newly wedded couple much happiness and also tended thanks to Mrs Deacon for her generosity. Thank were also recorded to doctor Macdonald for providing the motors. In a brief but expressive speech the bridegroom behalf of the bride himself gave sincere thanks. Over 100,000 Belgian refugees arrived in the UK between August and October 1914. A report by Derbyshire County Council in January 1915 stated that there were 750 Belgian refugees situated in 61 parishes across the county. Some councellors thought this an underestimate as there were 150 alone in Chesterfield. The Derbyshire Belgium Refugee Committee disbanded on 23rd May 1919. The total numbr of refugees that had been provided with hospitality in the county was 2,229 and involved 84 local village and town committees. Belgian Agents were Belgian civilians in British service, but not with a regiment. They were working for the War Office or the British GHQ. Actually they were spies: Belgian Intelligence agents. Together with the French and the Belgian GHQ there were about 7,000 of them. One agent in four was arrested by the Germans (about 27%). This is about 1,900 agents of whom 280 were shot by the Germans. This is 15% which is fairly high. Over 100,000 Belgian refugees arrived in the UK between August and October 1914. 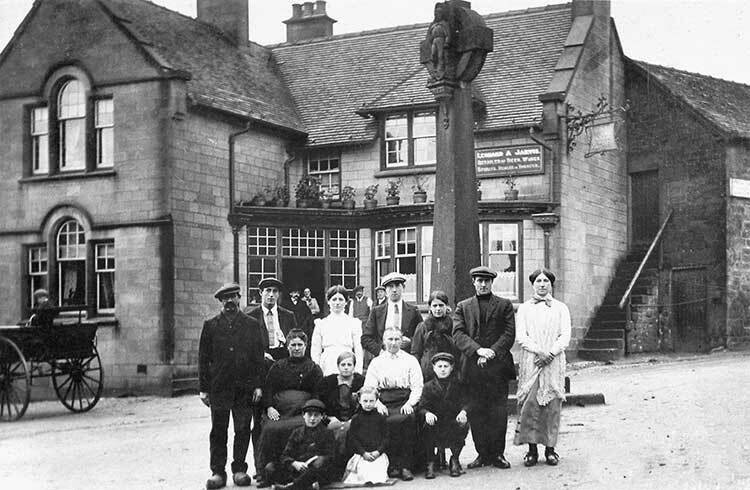 A report by Derbyshire County Council in January 1915 stated that there were 750 Belgian refugees situated in sixty-one parishes across the county. Some councellors thought this an underestimate as there were one hundred and fifty alone in Chesterfield. The Derbyshire Belgium Refugee Committee disbanded on 23rd May 1919. The total numbr of refugees that had been provided with hospitality in the county was 2,229 and involved eighty-four local village and town committees. 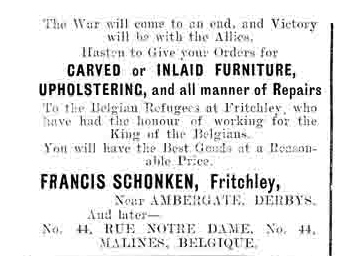 Fritchley also had Belgian refugees including Francis Schonken, who made and sold highly decorated and carved furniture.